Since I started writing this blog, I have shared some pretty major stuff with ya’ll: nervous breakdowns, graduations, kidney transplants, book releases, job changes. 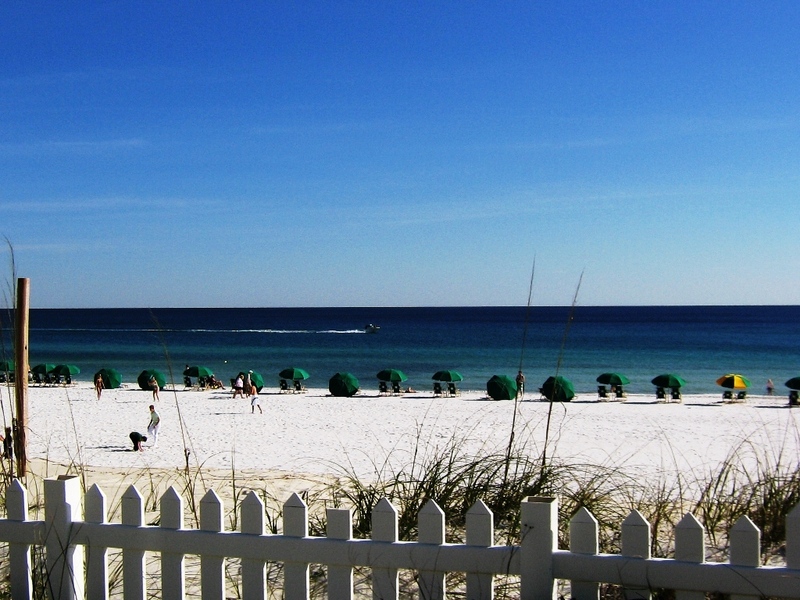 Now I have another one to share with you: Patrick has been offered a job in Destin, FL, which he’s accepted. We are leaving Kansas City the weekend of May 14. This is quite a game changer for us-- we’ve never lived anywhere outside our beloved little corner of flyover country. When I was a kid, I always dreamt of traveling, of settling down someplace exotic. 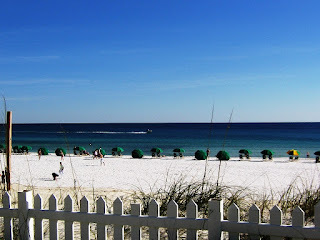 (I don’t know if Destin qualifies for everyone, but it’s definitely exotic to me.) When I graduated from high school, I watched as friends went off and got to experience exciting new cities while I stayed behind, wrestling with health stuff and life stuff. I’ve continued to wrestle with these things, even up to this day. But Patrick and I are as healthy as we can possibly be at the moment. This is our chance, and we’re taking it. A clean slate-- quite literally. It’s so expensive to move everything, we are only taking what we can fit in our two cars. (Mainly: clothes, cats, computers, and some cooking utensils.) Everything else, we’ve either sold or donated. So a grand adventure awaits us on the Gulf Coast: new jobs, new friends, and new opportunities. I’m both nervous and excited. As for writing-- for those of you so patiently awaiting the completion of the O4S series, Coyote and I will continue our Friday night jam sessions via Skype. Coyote and I been friends for 11 years now, writing together for 9. All those major life events I mentioned above? We’ve managed to weather those together. I think we can handle this one. I’m also hoping the new challenges and the change of scenery will help jog my creative juices. I’ve been in a bit of a rut for almost two years. So we’ll see what happens. Here’s to seizing the day! If such opportunities ever come your way, I hope you seize them too. I've lived in the same county my whole life. It would take a lot of courage to leave. I hope your move to the Gulf Coast will be the beginning of something very wonderful for you. Carpe Diem! Thanks! Carpe Diem is definitely the goal. It is a very scary thing, but all good adventures are. Welcome to Florida Lauren! I hope you enjoy living here as much as I do! Three years ago I was in a similar situation. I thought I would be living all my life in the same town in South Carolina where I was born. Then a layoff happened during a time when jobs that paid adequately were scarce. It was scary but my husband found a job in Ocala (Central Floria) where we have been living ever since. It's beautiful and it has definitely inspired me creativity. You are lucky to be moving to the Gulf Coast. For swimming I definitely prefer it to the Atlantic. Very exciting! By the way I read one of your flash fiction stories and really enjoyed it. I can't remember the title but it was a kind of slice of life story and you had a strong emotional punch at the end. I was very impressed! It's hard to create a strong emotion in a flash fiction story. I want to read some of your other stories when I get time. Hey, Lisa! Great to see you here on my blog, and thanks for the welcome. We are here in Florida and getting settled into our new place. We've already hit the beach once, and yes, it's beautiful. It still hasn't really sunk in yet that this is our new home-- we've always been inlanders. Before, the closest beach was 14 hours away. We keep expecting to have to hop a plane and go home. No, our cats did not have a good time with the two-day car ride down here, but they seemed to enjoy the motel rooms quite a lot. Now that we're here, though, they're adjusting. I expect that Lucy, our mighty reptile hunter, will really enjoy the abundance of lizards here-- plenty of game for her to stalk! You're very welcome for the RTs-- always happy to help a fellow author.